Feminine, elegant and timeless, 134 hand-set diamonds adorn the stainless-steel Serein Mid timepiece. 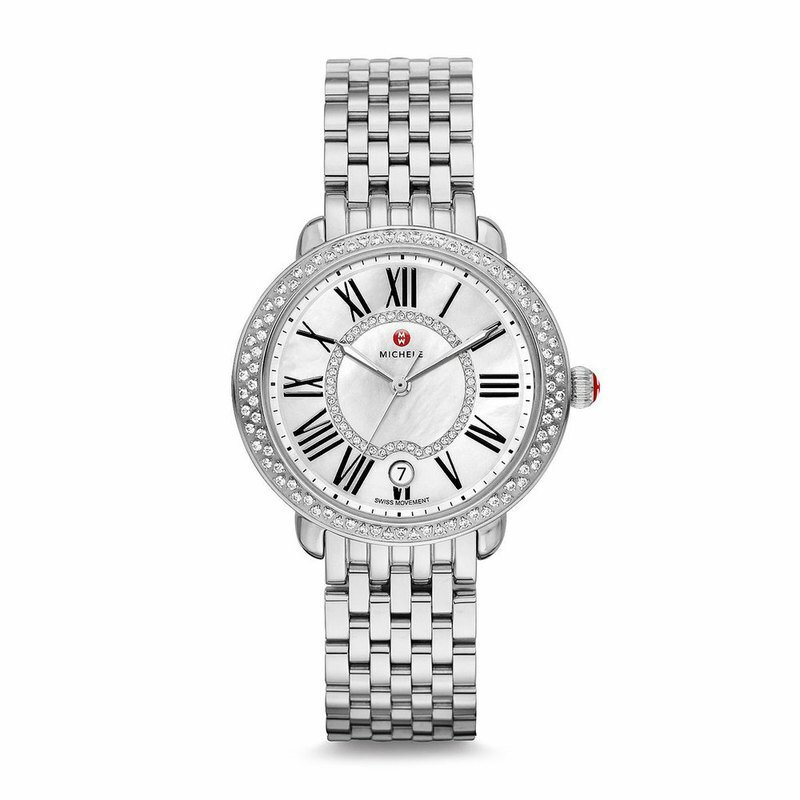 Roman numerals and the signature MICHELE logo grace the mother-of-pearl dial. The stainless-steel bracelet is interchangeable with any 16mm MICHELE strap.